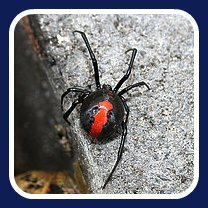 In Australia it is the Red Back Spider and Funnel Web Spider whose bites can cause death. Although the last recorded death was in 1979 due to the development of anti-venom. 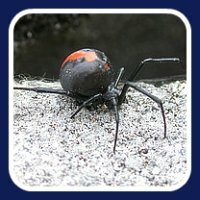 The Red Back is a close relative of the Black Widow from the USA. The bitten person needs to stay still and apply ice. Many hospitals and ambulance vehicles carry the Red Back anti-venom so either call an ambulance or get to the closest emergency hospital for anti-venom. If safe to do so, take the spider to the hospital for identification. Usually it is safer to take a photo if at all possible. There have been no deaths from Red Back bites since anti-venom became available in 1956. DO NOT apply a tourniquet. This cuts blood flow completely and may result in loss of the affected limb. DO NOT give the patient medication including aspirin unless instructed to do so by a medical professional.